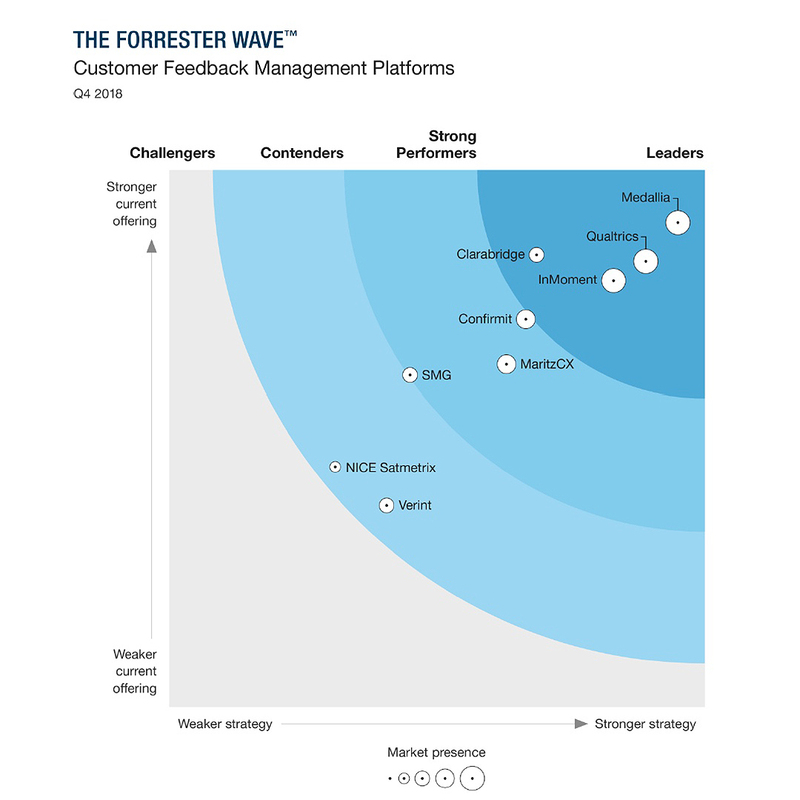 The Forrester Wave™: Customer Feedback Management Platforms, Q4 2018 report has identified Clarabridge as a Leader. 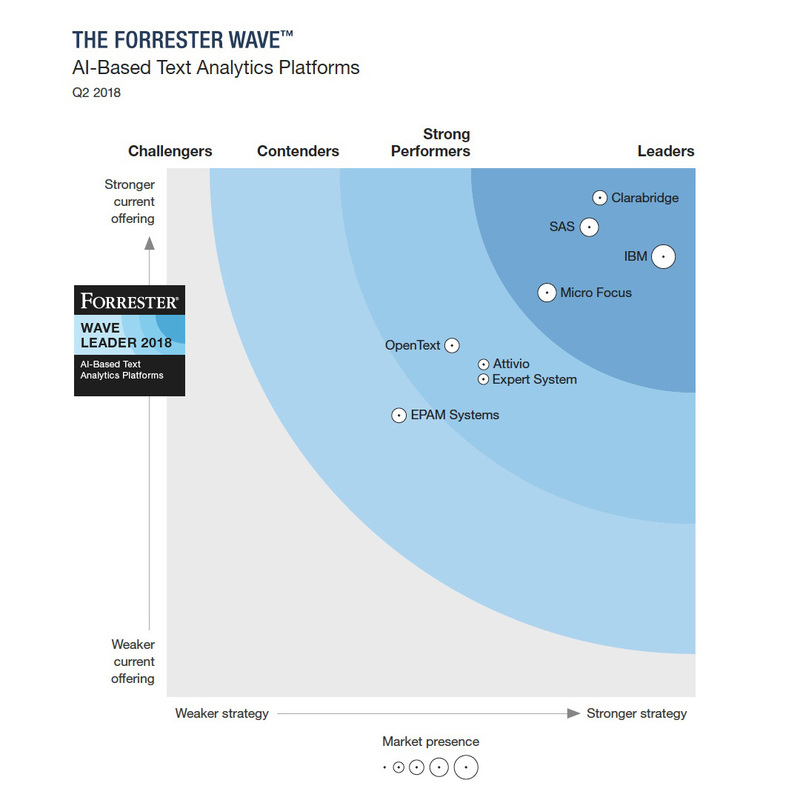 The Forrester Wave™: AI-Based Text Analytics Platforms, Q2 2018 report has identified Clarabridge as a Leader. Clarabridge offers a “highly differentiated emotion, effort, and intent analysis, while most of its competitors still mainly offer sentiment analysis." 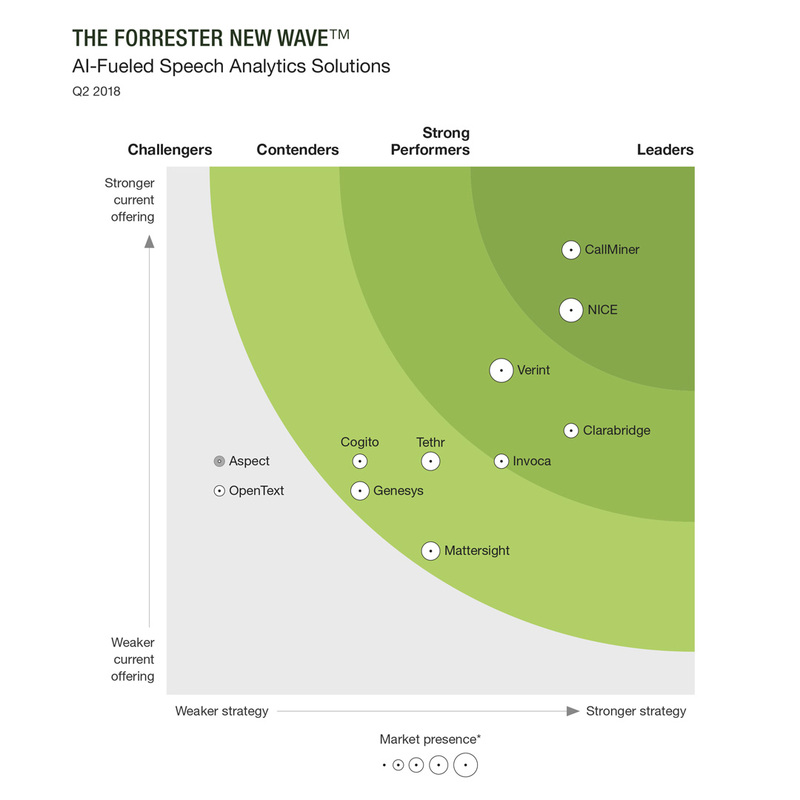 The Forrester New Wave™: AI-Fueled Speech Analytics Platforms, Q2 2018 report has identified Clarabridge as a Strong Performer.